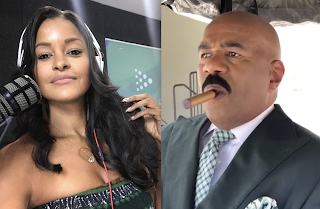 The Steve Harvey Morning Show aired for the last time in DFW on Friday and is being replaced by Claudia Jordan and comedian Rudy Rush on "The Morning Rush with Claudia and Rudy"
Steve had been on the air in DFW for 15 years. i was a little disappointed that they took steve harvey off. i won't miss shirley, she really gets on my nerves. i also won't miss the horrible advice they give on the strawberry letter. and steve really seems like he hates anyone else being funnier than him. it was grating on my nerves...so i guess i really won't miss them. i doubt i'll watch claudia. if her on air personality is anything like the one she had on rhoa, she's an insufferable woman. i guess i'll just stick with the local morning shows. the vida loca show is actually pretty good. ^^^ You're all over the place. Take your meds. Good for Claudia. I think 11:21am took too much medication. @ 11:43, i'm sorry that you don't understand stream on conscious thoughts. let me break it down for you. when i first noticed it wasn't on the radio, i was disappointed because i had been listening to them since i was young. then i started to think about how lately they have been really irritating me. once they were no longer on the air, i started to listen to the local stations and found a station that i like a lot more. 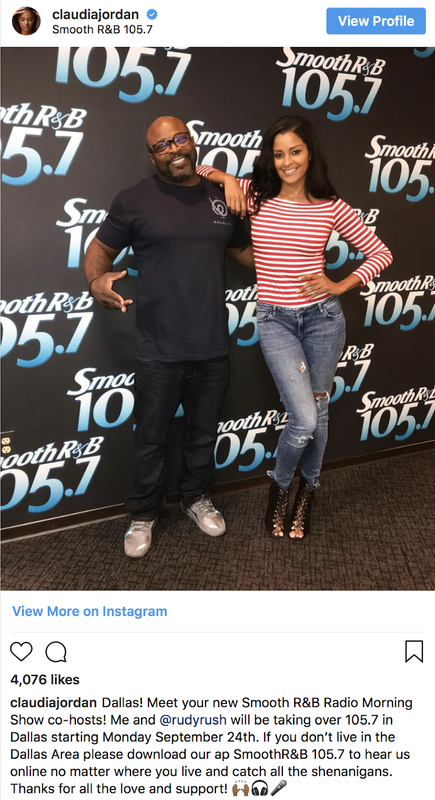 as far as claudia jordan goes, she was horrible on rhoa. all she did was complain and try to make people feel bad for her. i will not listen to her. she seems miserable. i hope you were able to follow that. but i'm not sure that you will. as you seem pretty basic. @ 11:47, sorry my brain works a little more quickly than what you're probably used to. i should keep it super simple for you people. Unless you are in the DFW area, THIS IS NOT NEWS! @11:48 I have no problems with comprehension I just don't understand your streams of prescribed meds. Wow couple of Cra Cra's up in here.